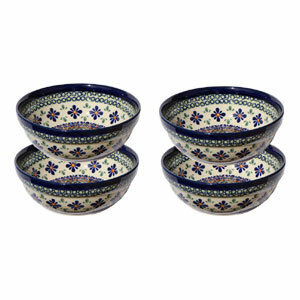 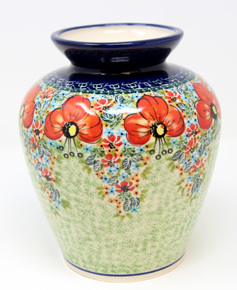 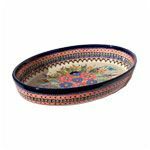 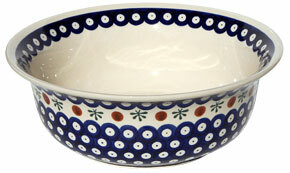 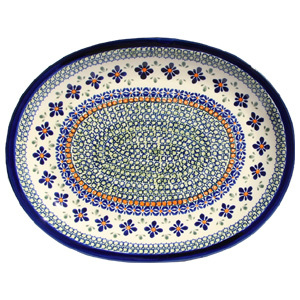 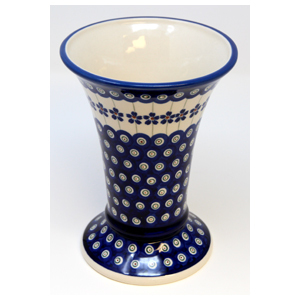 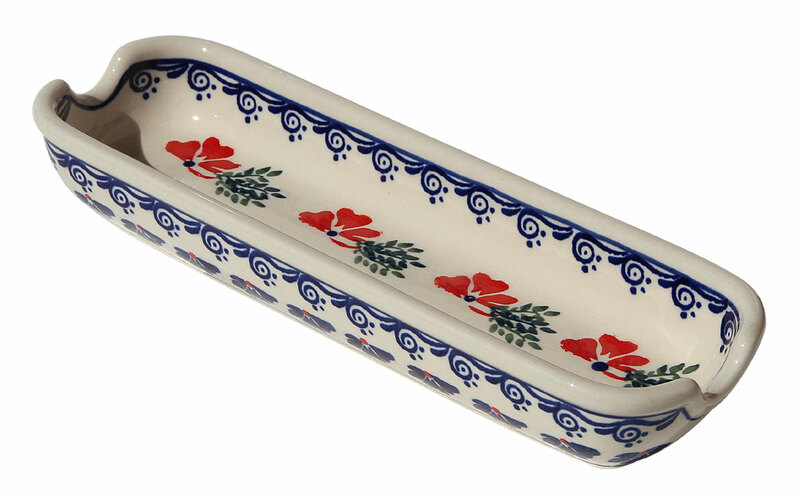 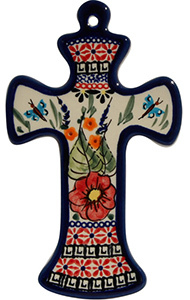 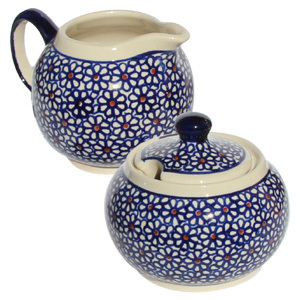 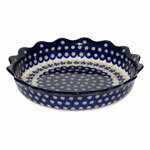 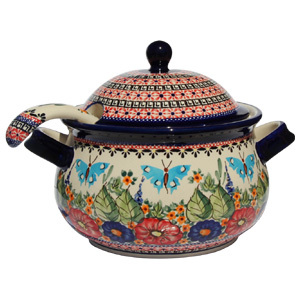 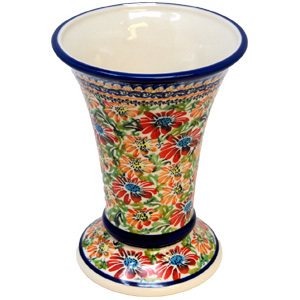 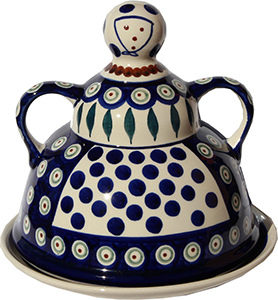 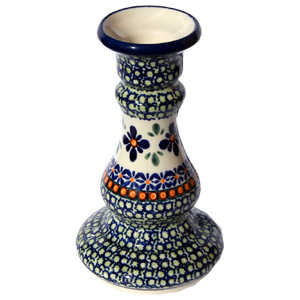 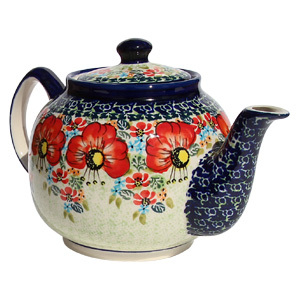 The Polish Pottery corn-on-the-cob dish is a red poppy schematic with sage features made in Zaklady Ceramiczne BOLESLAWIEC. 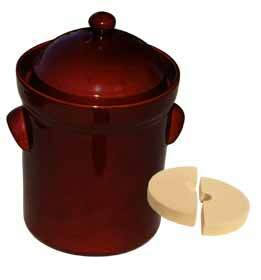 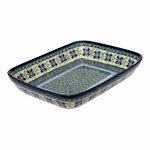 With dimensions 8.75” by 3” a quirky accessory for summertime barbecues. 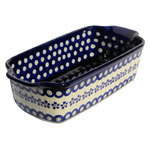 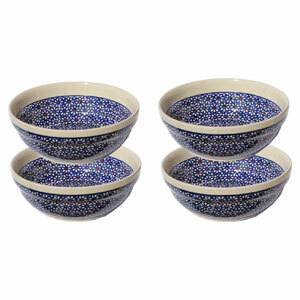 Product is microwave and dishwasher safe. 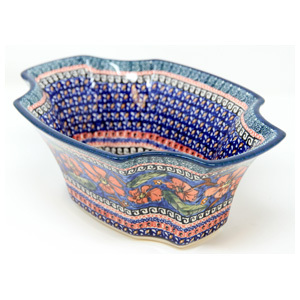 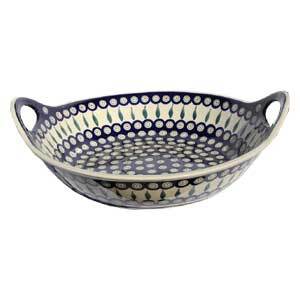 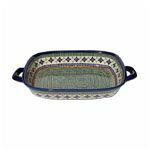 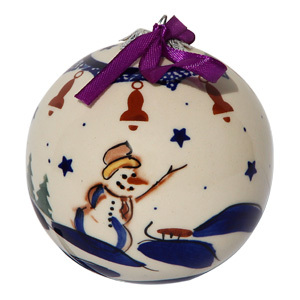 The Polish Pottery corn-on-the-cob dish is quality 1 (GAT 1) glazed and fired at 2280 degrees Fahrenheit, the folk art style will endure.